At the start of this Parliament, the Procedure Committee undertook an investigation into elections for positions in the House. As part of this, the Committee looked at methods for electing the Speaker and identified two routes: (i) an open ballot as at present, or (ii) a secret ballot. It was the view of the Committee, in bringing forward its recommendations, that NO CHANGE be made. However, it recognised that there might be an appetite in the House to debate this. Consequently, it made it clear – in two letters to the Leader of the House, on 7 February 2013 and on 3 February 2015 – that any such debate should take place in prime time “and should not be tucked away on a Thursday”. Today (Wednesday), at 5.45pm, Conservative colleagues received our first ever notification that, at 10.30am tomorrow, there will be an hour-long Debate “on various Procedure Committee recommendations, including on the re-election of a Speaker”. The notification added that Motions “are in the name of William Hague”. I understand that one of these Motions will recommend changing the method of re-electing a Speaker from an open ballot to a secret one – despite the fact that only 2 Members of the Procedure Committee have supported this in the past and the Committee as a whole has not recommended any such change. Astonishingly, even though the notification explicitly referred to the debate being “on various Procedure Committee recommendations”, the first the Chairman of the Procedure Committee, Charles Walker, knew about this Business being tabled by the Leader of the House, was when I told him after reading the notification at about 6.30pm today. Neither the daily guidance circulated to Conservative Colleagues at 11.48am, nor the Reminder about an “important pre-election meeting of the Parliamentary Party at 10.30am tomorrow”, circulated to colleagues at 11.51am today, made any mention of bringing this controversial matter before the House on the very last day of this Parliament. Therefore, we find that large numbers of Conservative Colleagues will be attending an important ‘Strategy meeting’ in Portcullis House at the very same time as this highly contentious matter is being debated in the Chamber. The Division Bell will then ring and Colleagues will stream over to the Division Lobbies without any awareness of the issues involved in this so-called “Free Vote”. Instead, they will be likely to support whatever it is the Leader of the House has tabled. One need not be a particular admirer of the Speaker to realise that this is no way for decent people to behave. I trust that Members of all parties will not allow themselves to be manipulated in this unworthy fashion, and will make the effort to attend and vote appropriately tomorrow, by rejecting the proposal to re-elect the Speaker secretly rather than openly. This entry was posted in uncategorised and tagged john bercow, julian lewis, The speaker, william hague. Bookmark the permalink. I suppose we should be grateful that at least one Tory MP has some principles. 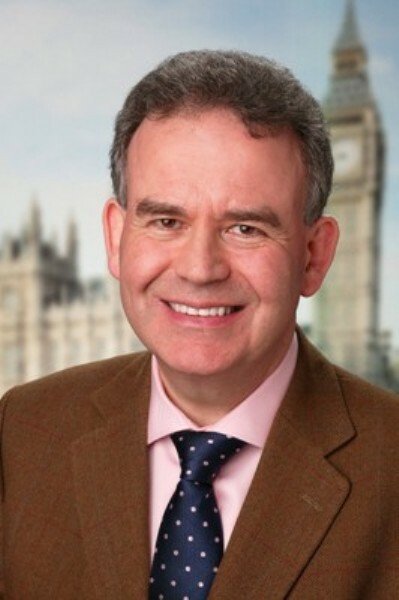 Good for Julian Lewis. Shame on WIlliam Hague and Michael Gove. To all those parliamentary vipers who wallow in hiding I say rattle away you Schisssssssssssssssstes! Just shows the mindset of this bunch. Underhand tactics to harm the many and reward the few are on the cards if they win. Their welfare cuts planned are cruel and for a leader who actually does know better, making it harder for people to care for a sick loved one is just uncompassionate and mealy minded. They are turning the country and its citizens into an uncaring, selfish and hard minded set of human beings. This attitude has never been the British way. We have fought for freedom from oppression and genocide. God help us all of they win in May. Infamy infamy they all had it in for him. A list of who voted for this scheming underhand move would be handy. Bercow will know and judging from his face when the vote was announced there will be political blood spilt over this one. They usually save the long knives for the Party Leader but that is still to come. He should fall on his sword now. I will be interested to see if the question comes up at the next leaders non debates. never liked William Hague. bit of a worm (though thats an insult to worms really i suppose…so apologies to the real ones. .)stuck up isnt in it.